It can be tempting to shell out some cash for an excursion or a tour upon arriving in a new city, particularly when you are wary of planning. 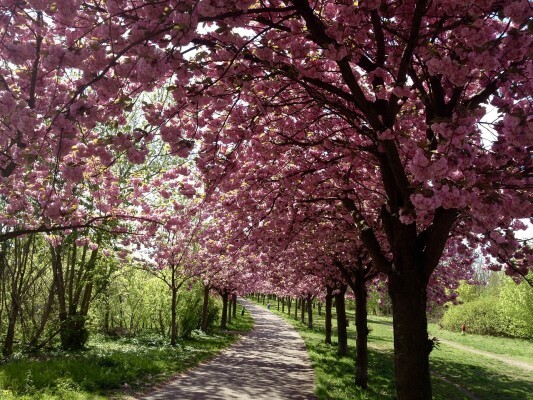 But there are countless places to visit in Berlin, and many of the most significant and famous ones are free to enter or see, making Berlin one of the most budget-friendly cities in all of Europe. If you follow this list of free things to do in Berlin, you can see the entire city, and will barely need to open your wallet! Berlin is an artistically and culturally rich city. Museuminsel houses many of Europe’s most well-known art and artifact collections, although there is generally an entrance fee. But there are free museums in Berlin–you just have to go on the right day of the week. The Academy of Arts, for example, offers free admission on Tuesdays between 3 and 7 pm. The KW Institute for Contemporary Art is also one of the free museums in Berlin if you go on a Thursday between 6 and 9 pm when they have extended hours. Art isn't confined within museum walls here though; it can be found almost everywhere you look. 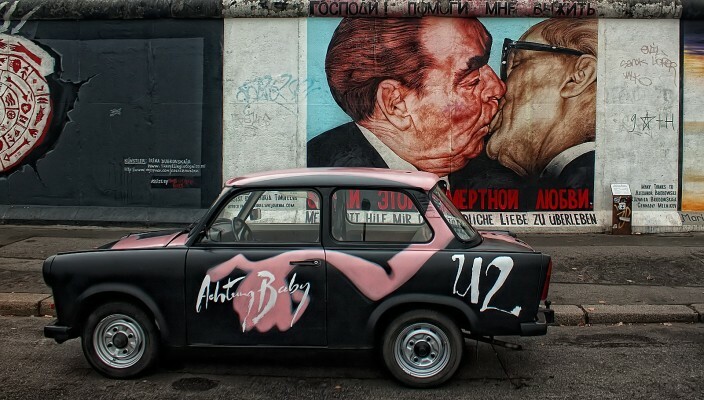 The East Side Gallery, for example, is undoubtedly one of the best attractions in Berlin. It is the longest remaining stretch of the Berlin Wall, and the murals painted on it are a beautiful, striking reminder of the experiences of those who lived through the years of the divided city. An awesome, free way to see more of the city’s off-the-beaten-path sites and street art is with a free walking tour like this one. A free walking tour of Berlin’s unique and vibrant artistic highlights will provide you with some of the most unforgettable experiences you will have in the city, and it won’t even come close to busting your budget! 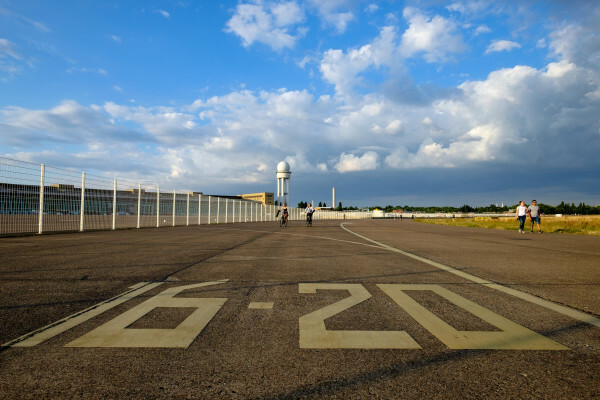 Tempelhofer Feld, or field and former runways of the old Tempelhof Airport, is the ideal place to get a sense of Berlin’s hip, ever-changing underground culture. The building is considered one of the world’s largest in terms of surface area. At one point, Hitler imagined the airport as the hub for his massive Nazi empire. Thankfully, this never came to pass, and the building is now largely left unused. The field behind it, however, has become a public park containing flexible areas meant to be used by various artistic and cultural organizations for temporary installations. You may encounter a circus tent, a miniature golf course, a soccer field, or a live concert when you visit, among countless other possibilities. Speaking of parks, no Berlin on a budget trip is complete without a Sunday trip to Mauerpark to watch the free karaoke. This park also holds one of the most well-known flea markets in the city, which is free to stroll through, so you can hunt for bargain treasures with live karaoke performances as your soundtrack. The flea market runs all day, while live karaoke starts at 3 pm. Visit Checkpoint Charlie, the most famous checkpoint for those crossing between East and West Berlin, when the Berlin Wall still stood. Prior to 1991, this checkpoint was still one of the few places where people permitted to cross between East and West Germany could do so. 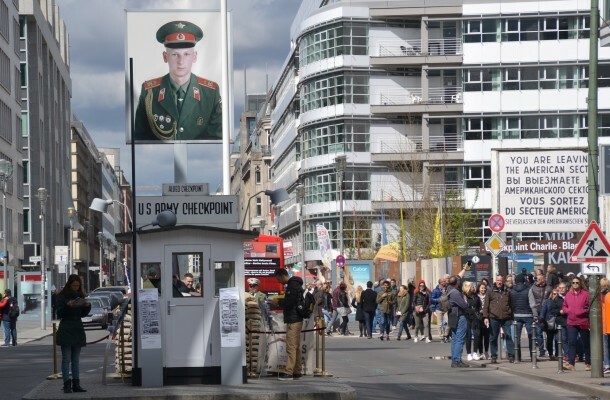 Although the site of Checkpoint Charlie, with a McDonald’s in close proximity, no longer feels nearly as impressive as it did back then, this checkpoint gives visitors a window into Berlin’s troubled recent past. The Berlin Wall memorial is located very close to Checkpoint Charlie. 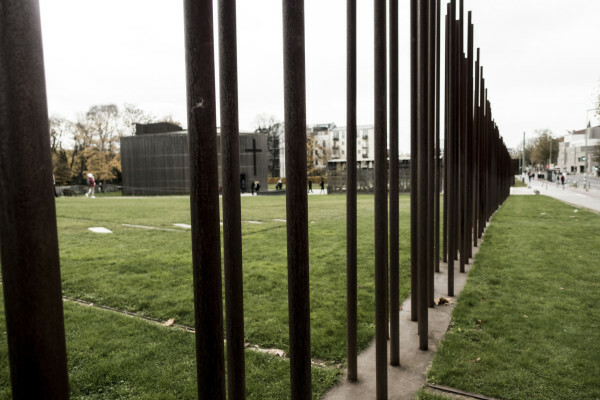 This memorial recognizes a piece of the wall that formerly divided the city, and is a somber reminder to visitors and residents alike that Berlin was not nearly so free prior to 1991. 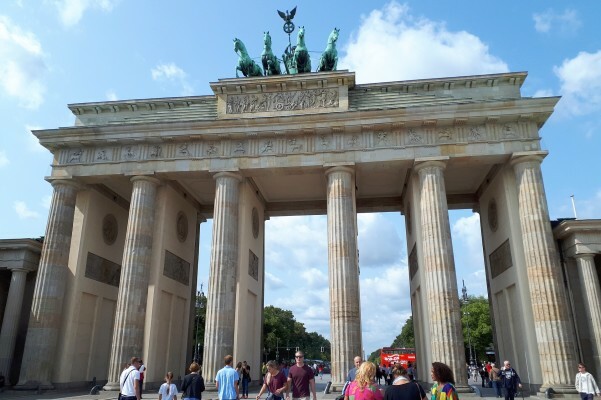 Take a short walk from here to the impressive Brandenburg Gate. This gate was originally constructed in 1791 and has been the site of several historical Berlin moments, including Adolf Hitler’s 50th birthday celebration, during which the Nazi army paraded directly under the gate. It also served as a dividing point during the years of the Wall, making it an essential place to visit in Berlin and an architectural cornerstone of the city’s history. Located near the Brandenburg Gate is the powerful Memorial to the Murdered Jews of Europe. 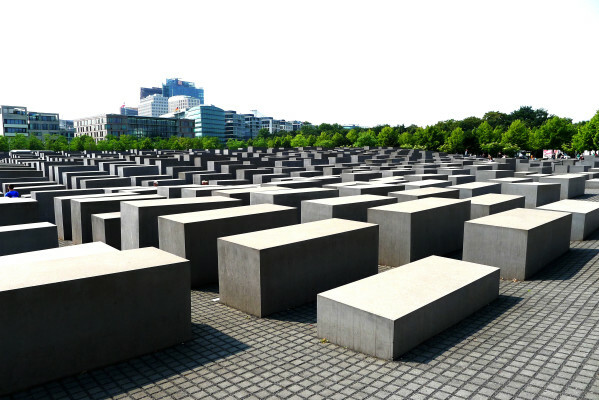 This memorial is a massive, maze-like conundrum of granite blocks that denote the sense of hopelessness, helplessness and desertion felt by the Jews persecuted and killed by the Nazis during World War II. Although a line generally forms at the entrance to the memorial, this site is also free to enter and respectfully explore. From here, you can easily wander over to the Reichstag, which serves as Germany’s Parliament building. 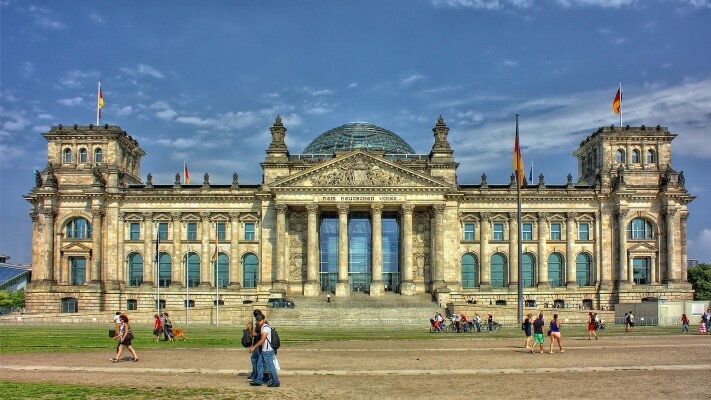 Although you will need to reserve your tour time in advance, the Reichstag offers one of the many excellent free tours in Berlin. The building is a stunning mix of preservative renovation and German engineering that would impress any architecture lover. Atop the Reichstag building, you can enjoy beautiful panoramic views of Berlin. Close by, you can also spot the office of Germany’s Chancellor, which is located inside a building nicknamed the ‘Washing Machine,’ due to its distinctive design. Before you leave, be sure to enjoy the city’s go-to quick and cheap meal: a plate of currywurst and pommes (fries), Berlin’s fast food of choice, as you reflect on the incredible explorations you’ve had. Berlin is nothing, if not unique. It is comfortable yet high fashion, cool yet accessible and offers something for every kind of budget traveler. If you include Berlin on your European trip itinerary, prepare to be inspired and delighted with what you find without even opening your wallet.